I took a BT phone line, broadband and on-demand and it was the biggest mistake of my life having signing up for 2 years! I’ve had problems since day one which is over a year now. Basically about 3 or 4 times a week I loose connection so can not use broadband or On Demand and this goes off for about 3 or 4 hours practically every other day. I work full time and cannot take time off for engineer to visit – I have had many engineers out who have told me quite simply I have a bad signal and there is nothing they can do about it. I have called “Technical” in India on many an evening and weekend and have been driven to drink frankly – I must have spent about 30 hours + on the phone to BT and still my service has not improved in the slightest and they will not release me from the contract. One of the technical advisors asked me if my home hub was connected by wire to my home PC which I said it wasn’t as it was wireless – he said it had to be wired in and when I asked him what wireless meant he hung up on me. By far the worst day was when my phone line, on demand and broadband all went down so I called “Technical” on a Sunday (India obviously) and I was subsequently hung up on 7 times (I am not rude or obnoxious they just couldn’t be bothered) I then called sales (England) who did connect me again to “Technical” and stayed on the line until I had booked an engineer – who I might add came and didn’t fix anything and it broke again the same afternoon. After not getting anywhere for months on end I eventually got hold of a name of a manager who I managed to get 1 email off – I have sent 8 emails back to this person with an array of faults I am still getting (screen shots of my 0.0/0.2 upload and download speeds) and I am still waiting for a response. Does anybody know what I am supposed to do? I am completely at my wits end with the absolutely shocking customer service and also the actual services I am paying £45 a month for and am not receiving for half the week! 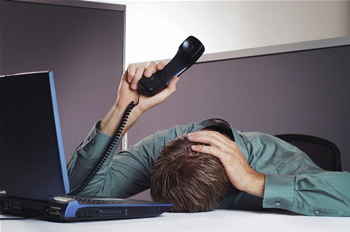 I feel for you completely – I have just spent an entire weekend on the phone to a call centre in India with a manager who was very rude, not one of them was able to resolve my problem. British Telecom should rename themselves Mumbai Telecom. I am in the process of seeking a new provider.